Lenovo has partnered up with Nvidia to produce more 3D PCs and monitors, with the Lenovo IdeaCentre K330. 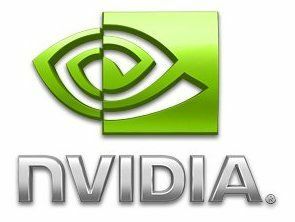 Nvidia's 3D Vision has proven to be a real hit, and Chinese electronics giant Lenovo is keen to produce kit to take advantage of the graphics giant's technology. The IdeaCentre K330 is a high performance 3D gaming PC in a tower case with the Nvidia GeForce GTX460 GPU. Also arriving is the Lenovo L2363d 23-inch 3D monitor – a full HD monitor featuring, somewhat scarily, dual webcam lenses to broadcast yourself in 3D. "NVIDIA's 3D Vision delivers superior quality, performance and compatibility required to our consumers to enjoy an immersive 3D entertainment experience," said Wei Jin, director of Lenovo Idea product group. "The IdeaCentre K330 PC and L2363d monitor were designed with this in mind, providing new levels of power, performance and high-quality visuals to shift consumers' 3D gaming and multimedia experiences into overdrive." Nvidia's Phil Eisler welcomed Lenovo's arrival to its growing list of OEMs adding: "Lenovo will enable more consumers throughout the world to experience high-quality 3D entertainment on their PCs. "And, with the new Lenovo monitor, consumers for the first time can experience high-quality stereoscopic 3D web conferencing on a desktop PC system."